Receiving its world premiere at the Edinburgh International Film Festival, Future My Love couldn’t be more timely. 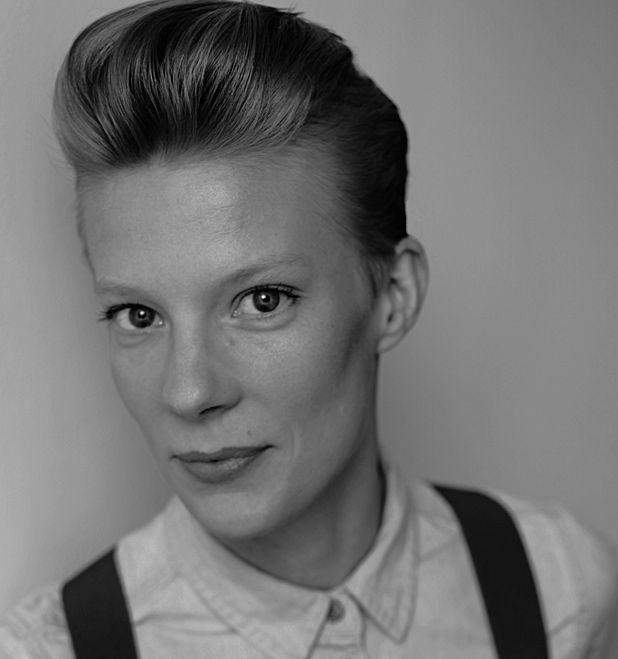 Writer-director Maja Borg began work on her debut feature, an experimental documentary that connects her own personal experiences with the global economic crisis, back in 2007, and she developed the film over a number of years as the world economies contracted. Now, in the light of what’s happening in Europe, the film’s thesis – that bankrupt corporate capitalism needs to be replaced with another economic system, but that, in order to do that, humankind needs to overcome its inability to learn from past mistakes and embrace change – sadly seems to be more (ahem) on the money than ever. At once thought-provoking and emotionally-provocative, Borg’s film contrasts interviews with various thinkers, most notably the 95-year-old ‘futurist’ Jacque Fresco, who proposes an alternative economic model that does away with money completely, with more poetic sequences that dramatise the end and aftermath of the filmmaker’s relationship with her lover, the Italian actress Nadya Cazan, who was the subject of Borg’s short film Ottica Zero. Given Future My Love blurs the boundaries between documentary and fiction filmmaking, it’s wholly appropriate that it has been honoured with the distinction of being the first ‘documentary’ to be nominated for EIFF’s Michael Powell Award, the competition prize for the best British film of the year, which from 2012 onwards will no longer restrict eligibility to fiction films. How did Borg’s film develop from what might have been a conventional documentary about the economy into something much less conventional, with these two strands, one to engage the head and the other directed at the heart? ‘Approaching commissioners with a film about the economy became easier as the economy was dying,’ says Borg, ‘which is a bit ironic. However, we know so much more about the economy now than we did five years ago. So the film has had to change as the collective awareness of what the economy is has changed. In the beginning, we were explaining things about the economy, but since its collapse people have become educated. So, we were able to take things out of the film and instead focus on more psychological aspects, such as what happens to a culture when it’s trapped in a system based on competition. Future My Love is screening as part of Edinburgh International Film Festival, Thurs 21 Jun 18:05 and Fri 29 Jun 20:30.